The 18th January deadline is now drawing near for the Call for Papers for the Information: Interactions and Impact (i�) International Conference in Aberdeen, Scotland on 25-28 June 2013.
i� focuses on the quality and effectiveness of the interaction between people and information and how this interaction can bring about change. The conference will look beyond the issues of use and accessibility of technology to questions about the way people interact with the information and knowledge content of today‘s systems and services, and how this might ultimately affect the impact of that information on individuals, organisations and communities. � more effective decision making. � Round table discussions (60-80 minutes duration). Authors who are accepted to give full papers at i3 are also invited to submit a full paper for consideration by the editorial board of Information Research (http://informationr.net/ir/index.html). For those papers accepted by Information Research, support for the process of HTML conversion will be provided by the i3 conference team. Contributors should submit abstracts of 1000 words for Full papers, and 300-500 words for Short Papers and Round Table Discussions. These should be submitted electronically by downloading the online submissions form, located on the Call for Papers section of the website (http://www.i3conference.org.uk). This should then be emailed (as an attachment) to i3submissions@rgu.ac.uk. The conference language will be English. Submissions will be anonymously reviewed by two members of an international programme committee specialising in one or more of the conference research streams. Notification of acceptance will be emailed to authors and will also include the comments of the reviewers. Full details of the requirements can be found in the Call for Papers section of the website. The deadline for receipt of abstracts is 18th January 2013. For any further information please see http://www.i3conference.org.uk, or contact the conference team at i3information@rgu.ac.uk. Fred Stoss from SUNY Buffalo has created a web site that contains wonderful advice about how to create good poster presentations. I would definitely recommend it for anyone who is creating poster presentations. for volume 32(3). The submission deadline is March 1, 2013.
of challenges to the management field still largely to be addressed. a higher widespread uptake of cloud systems in the industry.
. Cloud service orchestration, APIs and usage control.
. Cloud service auditing, monitoring, and metering.
. Design of components of a management as a service layer.
. Management of cloud federations.
. Mobility management in cloud scenarios.
. New models and paradigms for cloud service management.
. Novel and emerging standards for interoperability between clouds.
. QoS/QoE and SLA management in the cloud.
. Secure and private management of cloud data. the “Management of Cloud Services” Special Issue. Computer Science – Springer Verlag (http://www.springer.com/lncs). consistency, security and autonomic data management. and applications, to identify new issues, and to shape future directions. – The submitted papers should closely appear in the proceedings. The 4th International Conference on Emerging Ubiquitous Systems and Pervasive Networks (EUSPN) is a premier venue for bringing together multi-disciplinary researchers, professionals and practitioners from both academia and industry, who are engaged in different facets of ubiquitous systems and pervasive networks. The conference encourages innovative research contributions providing the recent significant developments and promising future trends of EUSPN based applications, systems, tools, environments and infrastructures in the fields of EUSPN and related areas. EUSPN-2013 will be held in conjunction with the 3rd International Conference on Current and Future Trends of Information and Communication Technologies in Healthcare (ICTH: http://cs-conferences.acadiau.ca/icth-13/). Papers on either completed or ongoing research are invited in the following and related tracks. For further details, please see website at: http://cs-conferences.acadiau.ca/euspn-13/. Authors are requested to submit their papers electronically using the online conference management system in PDF format before the deadline April 30, 2013. Take time this week to submit your preconference seminar proposal for EDUCAUSE 2013. This is a great opportunity to organize and facilitate an in-depth exploration of those challenges and solutions shared across the higher education IT landscape. Preconference seminars are half- or full-day facilitated discussions of a single topic or a group of related topics, offered either face-to-face or online during the EDUCAUSE Annual Conference. Face-to-face presenters can also compete for their session to take place in a limited number of flexible learning spaces. All preconference seminars will take place Tuesday, October 15. The EDUCAUSE Annual Conference is the premier gathering for higher education IT professionals and technology providers. All of our professional development events draw significantly from the expertise of these professionals to shape program content and to educate, advise, and influence the broad community. Be a part of this year’s dynamic program by submitting a preconference seminar proposal. The book Library and Information Science Research in Asia-Oceania: Theory and Practice seeks to present the development and trends in library and information science (LIS) research, both theoretically and practically, in the Asia-Oceania region. Two major trends have occurred nowadays in the LIS field across Asia-Oceania, including a growth in the number of schools and expansion of programs, and a growth in research outputs. The LIS education growth is more significant in the Asian countries, particularly in China and India. The Directory of Library & Information Science Programs in Asia shows that there are 67 universities having LIS programs in China. The numbers of LIS schools in India, Indonesia, Japan, South Korea, and Singapore are 86, 11, 8, 5, and 1, respectively. Australia and New Zealand have been fairly stable in LIS education growth compared to Asia, but they provide significant distance education and training programs. Historically, the major centres of the world producing LIS research have largely been the universities and information institutions in North America, the United Kingdom, and Europe. However, accompanying the growth of the Asian economies, universities, and information industries, LIS research being conducted and published in the Asia-Oceania region is increasing rapidly. Up to 2011, there were totally 377,649 LIS document records in the database Web of Science, and approximately 12,000 of them were written by Asia-Oceania region researchers. Overall, the LIS field in the Asia-Oceania region is experiencing prominent growth, and the trends of development are worth exploring. This book will provide a timely look at LIS research development and practice in Asia-Oceania as the region continues to grow and develop. It will provide an ideal forum for this international research area, allowing a presentation and comparison of international history and trends in LIS research, along with an investigation of reasons for similarities and differences in the outcomes. As such, this book will be a significant contribution to the LIS research literature. The book chapters will take critical and historical approaches as well as contemporary analysis. Authors are invited to submit chapters based on original research that has not been published elsewhere. We are seeking high quality and scholarly book chapters that cover the evolution of LIS research and developments in theory and practice in the Asia-Oceania region, including research progress in the field, evolution of theory development and, where applicable, their practical applications and significance, and the impact of information technologies on the development of the field. The main goal of the publication is to bring together theories and practices development, achievements, and challenges in international LIS studies. This book will assemble researchers from the major LIS schools in Asia and Oceania to disseminate and discuss the changing nature of the research, the major advances, and practical development in the field. The book will demonstrate evolving and emerging research and practice development in diverse countries in the region. It will highlight the current concerns and issues surrounding both theory and practice. This book is expected to be an excellent collection and representation of Asian and Oceanian LIS research and practice today. This book is intended as a useful resource for library and information science researchers, scholars, students, professionals, and practitioners, and is an appropriate text for courses in library and information science. In addition, anyone interested in understanding the LIS field in the region will find this book a fascinating and enlightening read. Researchers and practitioners are invited to submit on or before February 28, 2013, a 2-3 page chapter proposal clearly explaining the mission and concerns of his or her proposed chapter. Authors of accepted proposals will be notified by March 10, 2013 about the status of their proposals and sent chapter guidelines. Full chapters should be at least 9,000-10,000 words in length and are expected to be submitted by June 30, 2013. Chapters should be written in the 6th edition of APA format and submitted (in Word document) via email to the editors at tina.du@unisa.edu.au and qhzhu@nju.edu.cn. All submitted chapters will be reviewed on a double-blind review basis. Contributors may also be requested to serve as reviewers for this project. As more associations and event planners compete for limited professional development funding, we must examine how to produce conferences, continuing education, and other events in a more cost-effective and learning-effective manner. Why do library workers attend the events that they do? What is changing for library workers with regard to professional development due to technological innovations, cost barriers, and so on? How can associations produce quality events that people will attend, and how can they do so effectively and efficiently? This book will focus on thoughtful analysis, backed up by data, of why library workers attend professional development events and what types or aspects of events make the experience worthwhile. This book will impact those who put together professional development opportunities for librarians–associations, publishers, educational institutions, and so on. It will also be useful for those in management and human resources positions in libraries. It has the potential to make library professional development more effective and cost-efficient, and provide library workers with more worthwhile opportunities for training. There has been no recent or thorough examination of why library workers attend professional development events and what types or aspects of events make the experience worthwhile. There is very little published information on how to best provide professional development experiences for library workers from a generalized perspective as opposed to case studies. There is a need for factual and informative writing about what the future of library professional development can, will, and should look like. That is what this book will provide. The audience for this monograph will be those in the library profession who are planning professional development opportunities. This includes library association personnel, educational institutions, management personnel in large libraries or library systems, private organizations who produce professional development opportunities, and so on. It will be used by management and/or human resources personnel to determine future trends in professional development for their staff and by those who create and offer professional development opportunities to maximize usefulness and profit. 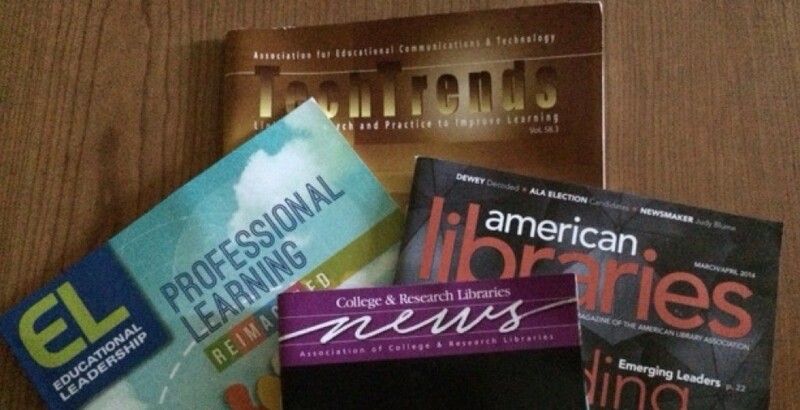 Professional development outside librarianship: what lessons can we learn? External funding for professional development: grants, sponsors, etc. What does the traditional library association conference provide for associations? Potential authors are invited to submit on or before January 30, 2013, a 2-3 page chapter proposal clearly explaining the mission and concerns of his or her proposed chapter. Authors of accepted proposals will be notified by February 1, 2013 about the status of their proposals and sent chapter guidelines. Full chapters are expected to be submitted by February 28, 2013 (negotiable). This book is scheduled to be published by IGI Global (formerly Idea Group Inc.), publisher of the “Information Science Reference” (formerly Idea Group Reference), “Medical Information Science Reference,” “Business Science Reference,” and “Engineering Science Reference” imprints. For additional information regarding the publisher, please visit www.igi-global.com. This book is anticipated to be released in early 2014.